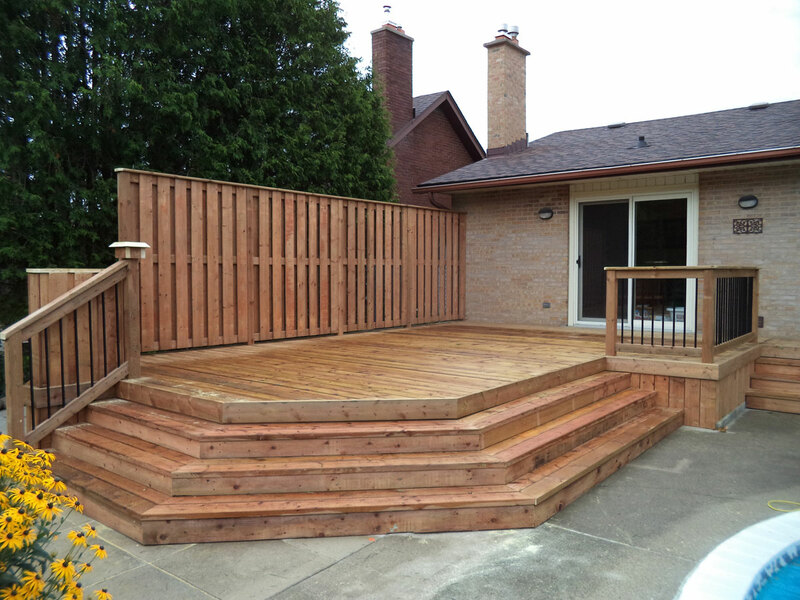 A beautifully designed and installed wood deck has many benefits. It’s a great place for friends and family to dine or hang out, an excellent area for sunbathing, a safe area for children to play and a perfect way to enjoy the outdoors with all the conveniences of home at hand. 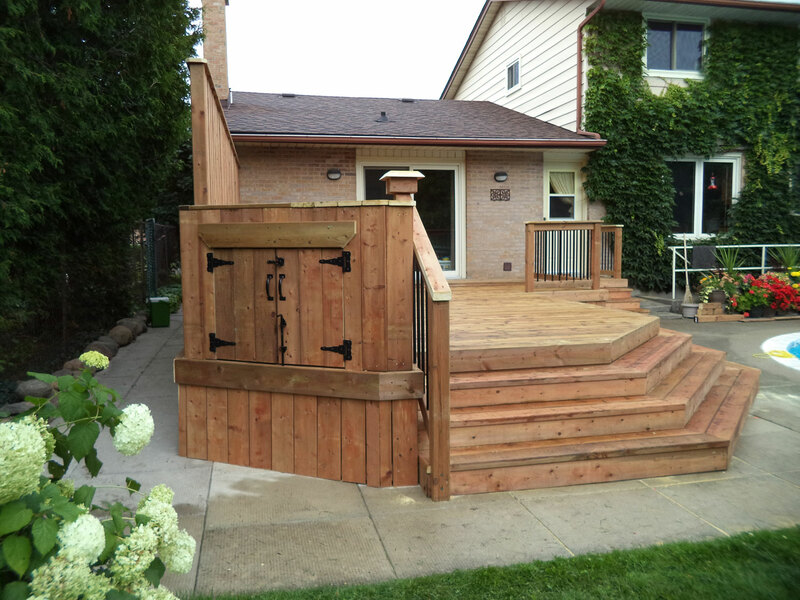 At Premier Fencing, we have a century of experience as your trusted, wood deck builders. 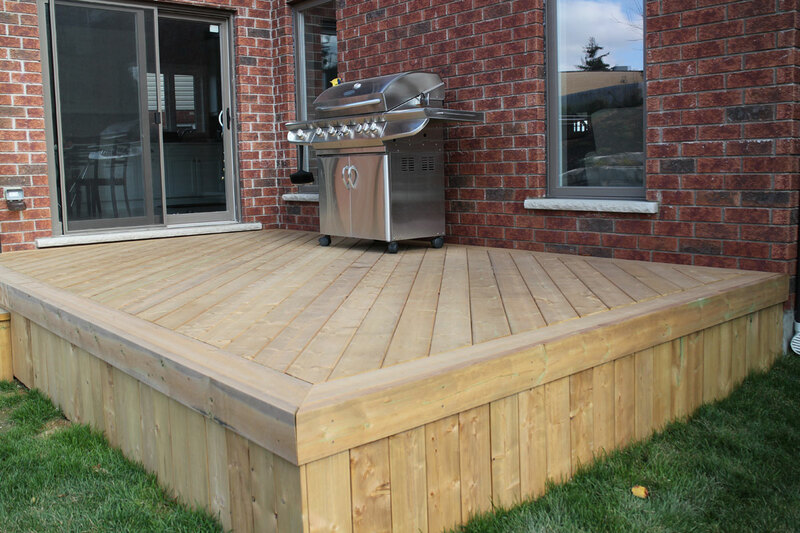 Whether you are looking for cedar decking, pressure treated decking or hardwood decking, we have the solution to enhancing your outdoor space. We strive to provide our customers with competitive prices and always back our work with our extensive two-year warranty. Premier Fencing recently began the manufacturing of their own branded line of lumber and created Boyer Lumber Co. in 2016. With our new process and partners in place, we are able to deliver consistency and quality from start to finish – “From forest to fence”. We now work directly with mills across Canada, allowing us to provide you with the highest quality lumber available, at a competitive price. Our fencing and decking comes directly from mills in Western Canada. 100% Lodgepole Pine, kiln dried and shipped by covered carrier to our treatment plant. 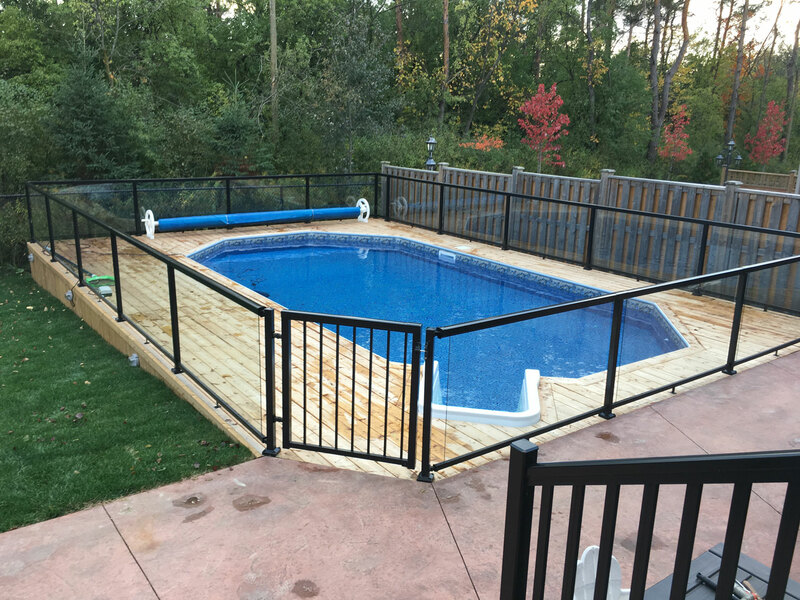 Whether your backyard plans revolve around a pool and a pair of folding chairs, a fully furnished cooking and dining area, or lavish spa, Premier Fencing can help you create your beyond-the-basic design and build. We specialize at incorporating features to enhance your space and overall look, such as customized privacy screens, in-floor lighting, hidden fastener systems, or integrating patterned decking that blends seamlessly with the scenery. Our customized wooden deck installations can be designed for all tastes and budgets. Cedar is as durable as many other types of wood with its natural capabilities to resist moisture, rot and infestations of insects. As one of the top natural choices for deck building, this wood actually changes its moisture levels to match the atmosphere. Moisture is what often causes wood to warp and crack, especially in a place of climate extremes like Canada. Using cedar can reduce maintenance issues and add years to a deck’s life. It smells great too! Pressure-treated decking is rot and insect resistant, and less expensive than cedar. Its lowest priced versions can be prone to shrinking and warping, It’s better to use higher-grade pressure treated wood. On all projects, pressured treated lumber is often used to build deck structure and supports, because of its durability and strength. 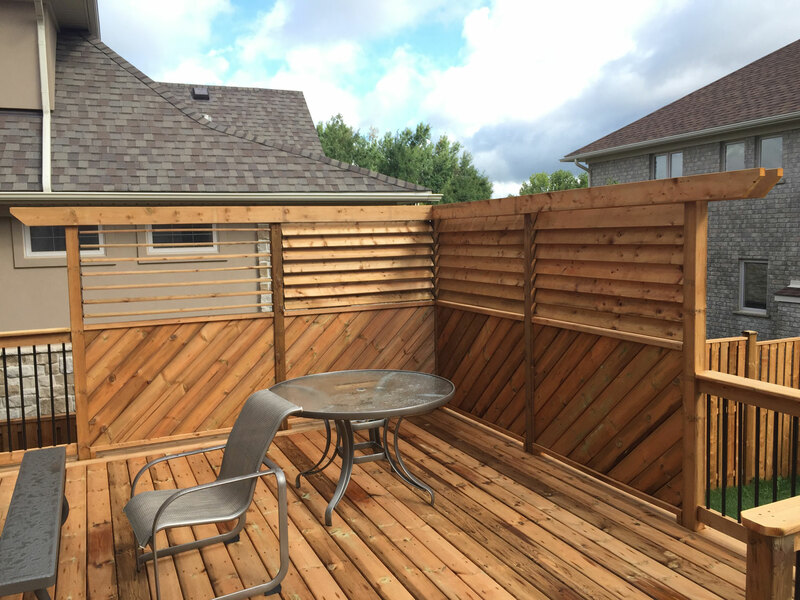 At Premier Fencing, our wood deck installation process is fast, reliable, efficient and cost effective. Whether you are looking for cedar decking, pressure-treated decking or hardwood decking, the sky is the limit. We begin with a free, onsite consultation, assessing the space and speaking with you to share your backyard vision. 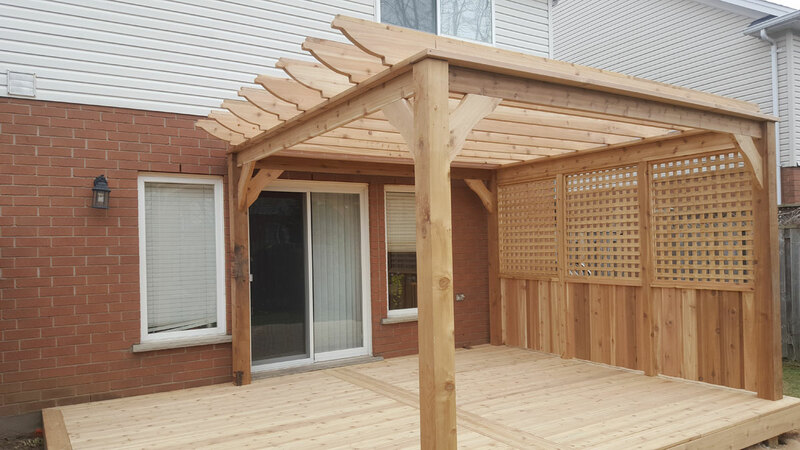 Afterwards we provide a free, no-obligation estimate for the work, including all wood deck costs and labour. The deck will be custom designed for your special requirements and then built with the quality and speed that has earned the Boyer family its reputation as premium wood deck builder for over 90 years. Once your deck is finished, our professional crew will ensure the work area is tidied and returned to its original, pristine condition. Our wood deck installations are backed by a two-year warranty that will provide you peace of mind. A reputable wood deck builder should be open, transparent and answer all questions honestly. For peace of mind, they should also have long experience in the field and be prepared to provide customer testimonials and references, if desired. Will you provide a real quotation? – Some wood deck installation companies provide “estimates” instead of “quotations.” Extra charges will often come up along the way and the final bill can end up higher than the estimate. A quotation should reflect the amount on the final bill. Is a deposit required? – A reputable builder will not often ask for a large deposit for wood deck costs upfront. They have the financial means to purchase and stock materials and then invoice at the successful completion of the project, when everyone is happy. Do you have the proper insurance and licensing? – A reputable wood deck installation professional has the necessary insurance and licensing to conduct business. A handyman doing jobs on the side might not have the insurance to cover someone getting hurt on the job, or the professional standing to get a work permit. Do you provide a warranty? – A good wood deck company backs their work with a warranty. A material warranty will vary in duration and terms and should last at least two years, covering two cycles of the four seasons. 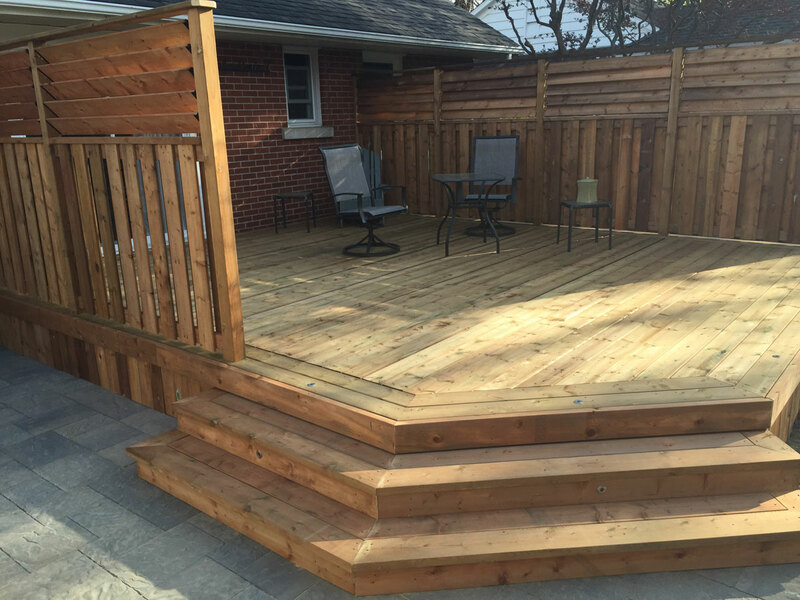 To build your dream wood deck, call the courteous and experience professionals at Premier Fencing for a free quotation at 519-500-5545 or fill out the form below. Let us give you the best value for your money, paired with the best service in Southern Ontario.